Re:Voir Video is proud to announce the DVD release of the first film compilation by French structural film-artist Christian Lebrat. The films, made between 1976 and 1985, represent the seminal work of the filmmaker and photographer, himself an important figure in experimental French filmmaking. 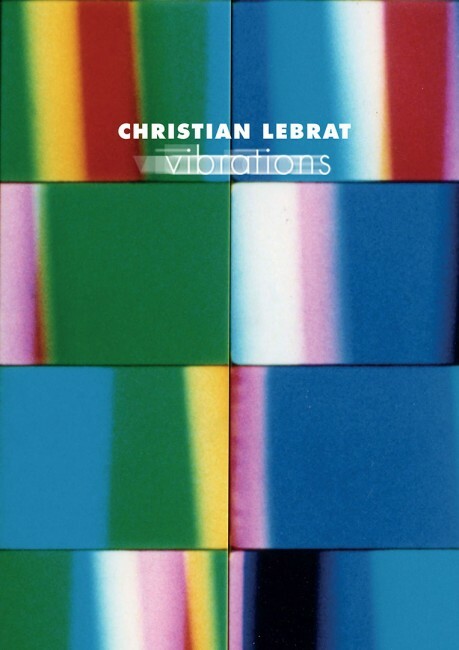 Lebrat is also highly regarded for his publishing work as head of PARIS EXPERIMENTAL, one of the few existing publishing houses that specializes in critical literature of avant-garde and experimental cinema world-wide. Christian Lebrat’s cinema deals with questions of structure and color in a perpetual attempt to escape the frame’s constraints. As the screen explodes with stroboscopic rhythms and abstract combinations of shapes based on rigorous mathematic schemata, color and film form are objectified. The film becomes an envelopping psychedelic experience for the viewer, where the abstract intersects with the “real”, and the vibration of color transforms the very act of looking. The Vibrations DVD is the result of complex digital restoration work done in partnership with the filmmaker from a high resolution scan of the original film negatives, which were re-edited and color-graded for current high-end digital standards. This edition highlights Re:Voir’s active efforts to put forth digital editions from art works conceived for the film-format, while maintaining an ethical awareness of both the aesthetics and ontology of the works. The DVD is accompanied by a collection of critical texts and interviews in a 40-page, bilingual booklet. The writings of Christian Lebrat, Vincent Deville & Émeric de Lastens contextualize the works within the artistic evolution of the author and offer further insight to the philosophy of structural filmmaking.